Until the turn of this century, bluon hvac refrigerant dehumidifiers had the market pretty much sewn up. 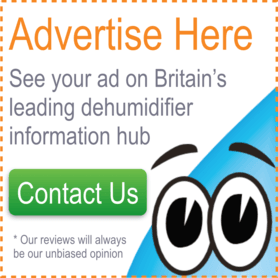 Desiccant dehumidifiers were completely unreliable and inefficient. However recently with advances in technology and quality, desiccants are now just as popular. Refrigerant dehumidifiers work through the same processes as your fridge. A compressor cools down metal coils until these coils become the coldest point in your room. When the chilled coils become cooler than the surrounding air, the water vapour in the air begins to condense on the coils. Then, when sufficient water has condensed on the coils, the water droplets begins to bunch-up and roll off the coils and into the waiting collection bucket or auto-drain hose beneath. A fan will be used to draw the air in, through, and out of the machine for maximum efficiency. The positives and negatives of refrigerant dehumidifiers are inherent from the way that they work, so the manufacturers can only try to mitigate these issues. They require fans and compressors to cool the coils, which are heavy and can be noisy. They work through being the coldest point in the room, so aren’t efficient if the room itself is cold (above 10-15 degrees they work perfectly well). However, what this proven technology gives you is immense dehumidifying capacity that will handle the strain of day-in day-out work for decades. Durability – a good quality model should last well in excess of 10 years. 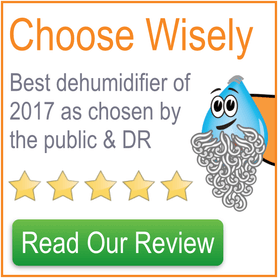 The EcoAir DC12 is a top-notch dehumidifier at any price, but when you see the price you’ll realise why this is a ‘must buy’. This is the dehumidifier that gives the other manufacturers sleepless nights. Read EcoAir DC12 Review. The fantastic EcoAir DC202 is in our opinion, the best domestic dehumidifier currently on the market. It’s extremely powerful, yet relatively small and quiet. You must at least consider this machine. Read EcoAir DC202 review. This DeLonghi model has been the best DeLonghi dehumidifier for a long time, it just does everything it should do very well. A very simple machine to own and operate. It is powerful, yet small and as quiet as refrigerant models get. Read DeLonghi DES16E review.